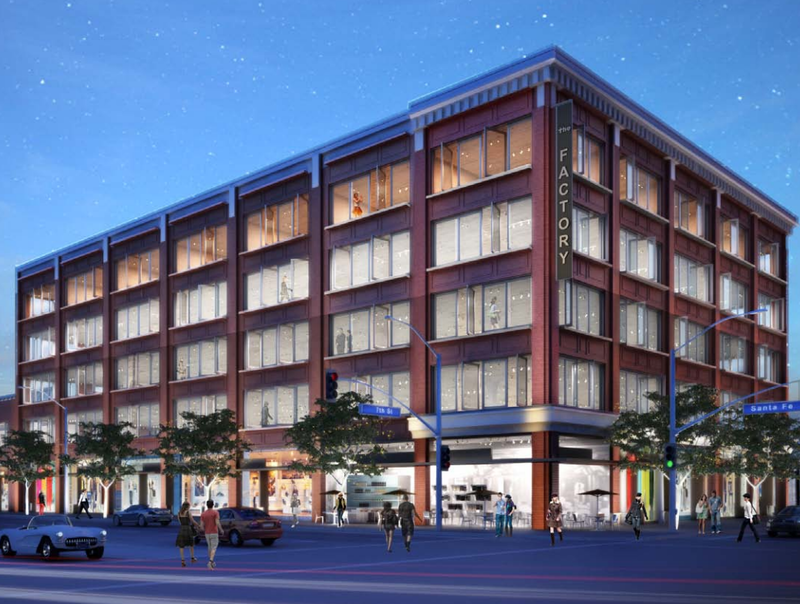 It’s old news that someone snapped up the 1912 Arts District Ford Factory recently, with plans for a mixed-use renovation that will attract techie office tenants. Today, the Wall Street Journal reported BuzzFeed may be that tenant. Construction began in 1912 on the building and wrapped two years later. 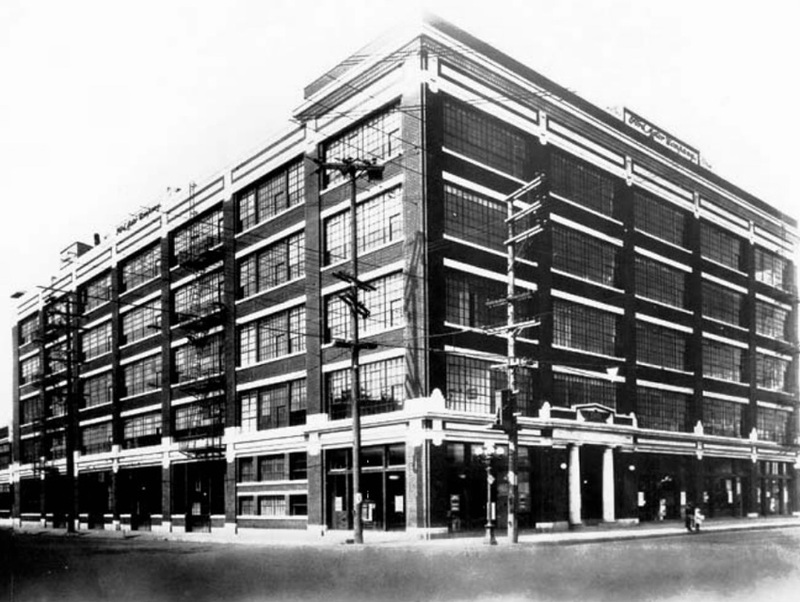 The building was producing Ford’s Model-T cars inside, becoming the first company to assemble autos in the area. “Recognizing that Los Angeles was consuming more cars per capita than any other region, Ford expanded the plant in 1923,” CBRE contends. 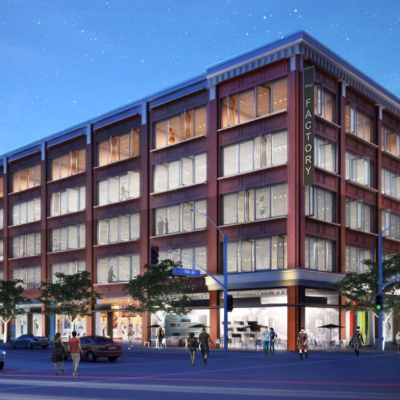 The addition led to an adjacent two-story building that added 90,000 square feet of space. Soon, 300 cars were rolling off the assembly line every day, while 1,100 workers were punching timecards. Ford operated the factory until the late 1920s, shifting to production of Model As in 1928 and 1929 before eventually packing up and heading to a new facility in Long Beach. The building sat mostly fallow through the Depression; Lockheed Aircraft leased it in 1941 to help provide supplies for the war effort. After World War II, Bullock’s Department Store bought the property, holding it for more than two decades until the Imperial Toy Corporation took it off its hands (likely for a song, as most of DTLA was crumbling at the time). The United States Rubber Co. got the deed for a bit before American Apparel purchased the property in 2008 and used it as a warehouse for their vintage mannequins. It was in late 2014 that Shorenstein Properties bought the building for $37 million and planned the mixed-use incarnation—offices and storefront retail—that just maybe has enticed the movers and shakers at BuzzFeed.